The admission window for Fall 2019 enrollment is now open. If you’re interested, please click on the “Information Sessions” page and follow the instructions to reserve a space for an information session. Attending an information session is the required first step. The first session will be held Thursday, March 28th, from 4p-5p. If you have any questions, please call us at 510/986-6941. Gateway to College is a scholarship program that provides academically and economically disenfranchised Alameda County residents 16 to 20 years old with an opportunity to experience success in an academically rigorous, supportive and safe environment as they pursue their high school diplomas and transition into college. The program promotes student success and readiness by grouping students into learning communities for their first term, offering intensive literacy development, maintaining rigorous academic standards, and providing individualized support. After successfully completing the initial Foundation term, students will transition to taking classes with the general student population.Students will focus their studies in a “pathway” or major that is aligned with high school completion requirements and college degree or certificate requirements. To keep students on the right track to success, one-on-one support is provided by dedicated GtC counselors. All GtC classes are college classes, and the program is fully integrated with Laney College. Check out our video, Academic Excellence: Gateway to College. 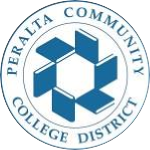 For more information about Gateway to College, please read our brochure, call us at 510.986.6941, or send an email to gateway@peralta.edu.